Obituary for Ray T Antilley Jr. | Lumberton Family Funeral Home, LLC. 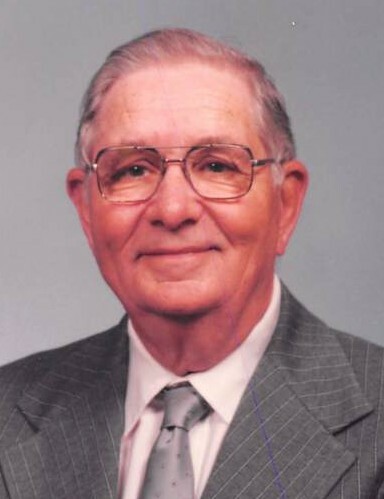 Mr. Ray T. Antilley Jr., 97, of Beaumont, TX, passed away peacefully on Sunday, August 19, 2018 in Vidor, TX. Ray was born in Abilene, TX on Tuesday, November 16, 1920 to his loving parents Ray & Callie Antilley. Ray grew up in Abilene, graduating high school there from Abilene High School and then going on to earn his Bachelors in Science from Hardin Simmons University in 1948 with honors as a member of the Alpha Chi Honor Society. Ray was fortunate enough to meet his loving wife of 32 years, Kathleen Antilley, while in Abilene. Ray was a proud veteran of the US Army Air Force, serving our country for 2 years and 7 months during WWII. After his time in the service Ray began his career in hospital administration, graduating from the American College of Hospital Administration in 1964. When enjoying his career, Ray spent time with his family cooking, baking and in general indulging his grandchildren and great grandchildren in delicious foods and treats. Ray had many interests over his long 97 years of life -from fishing to playing fast-pitch softball and tennis- Ray enjoyed an active and jovial life. Ray and his loving wife Kathleen were founding members of Pioneer Drive Baptist Church in Abilene. After settling in the Beaumont area Ray was a member of First Baptist of Beaumont, where he dutifully taught the Men’s Sunday School class until he was no longer physically able. Ray was blessed to have lived a full and memorable life and will be deeply missed by all those who knew him. Greeting Ray in heaven are his loving parents, Ray and Callie Antilley; his beloved wife Kathleen Antilley; his daughter Lillian Kathleen Antilley; his brother T.H. Antilley; and his sister Ruth Skaggs. Left to honor the memory of Ray T. Antilley Jr. are his children, Carolyn Hickerson, Allan Antilley, Vic Antilley and wife Bev, and James Antilley and wife Mary; his grandchildren, Cory Hickerson and wife Renee, Amy Gillock and husband Dustin, Abby Iles and husband George IV, Kathi Kapsner and husband Ryan, and Ashley Antilley; his great-grandchildren, Arielle, Aaron and Andrew Hickerson, Bailey and Cooper Gillock, George V and Melanie Iles, and Kaylan and Ava Kapsner; as well as many treasured friends, colleges and church members. The family will receive friends and family for a time of visitation on Wednesday, August 22, 2018 from 5-7 p.m. at Lumberton Family Funeral Home in Lumberton, TX. A life honoring service will be held at 10 a.m. on Thursday, August 23, 2018 at First Baptist Church in Vidor, TX. The family will have a private burial service on Saturday, August 25, 2018 in his hometown of Abilene, TX at Elmwood Memorial Park.